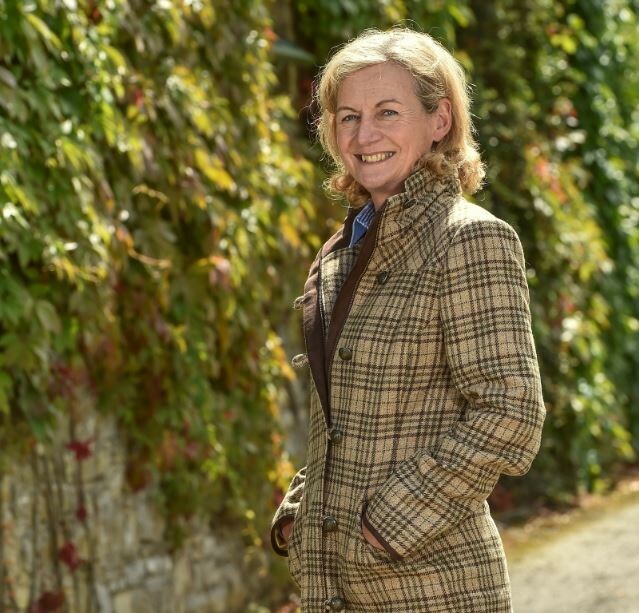 With exactly five weeks to go before the start of the 2018 FEI World Equestrian Games at North Carolina in the USA, Horse Sport Ireland today (Tuesday) held at press conference at the RDS in Dublin to launch Ireland’s involvement in the Games. The FEI World Equestrian Games are held every four years in the middle of the Olympic cycle and are expected to attract 500,000 spectators over two weeks of competition, with 1,000 athletes and 1,500 horses competing from over 70 countries. The 2018 Games will take place at Tryon International Equestrian Centre in North Carolina and Ireland will send full teams to compete in Show Jumping, Eventing and Endurance, along with individual athletes in Dressage and Reining. The World Equestrian Games will see new team and individual World Champions crowned, four years after the 2014 Games were held in Normandy, France. 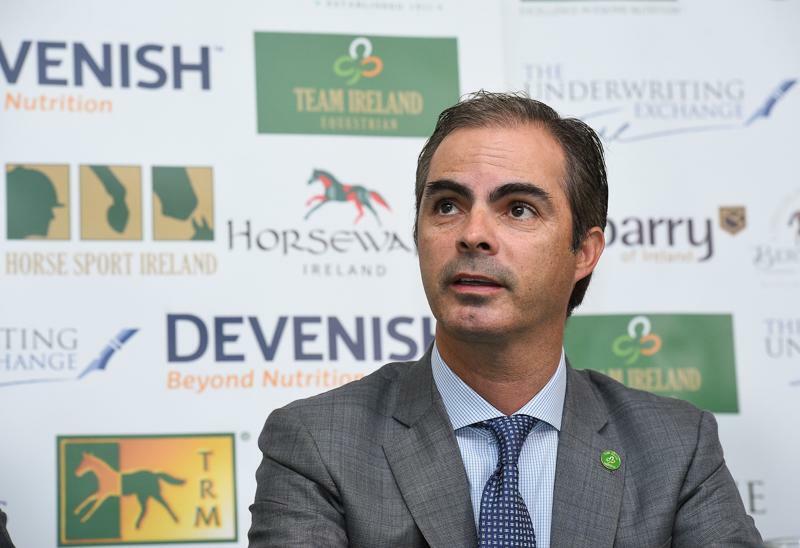 The Show Jumping competition at Tryon starts on September 19th and Rodrigo Pessoa’s Irish team, sponsored by Devenish and The Underwriting Exchange, will start among the favourites as reigning European Team Gold medalists. The Eventing competition begins on September 13th with the opening Dressage Phase, followed by Cross Country on September 15th and the final Show Jumping phase on September 16th. “The form of all of our riders has been very good. We have been winning internationals and we now have two riders in the top 30 of the world rankings and we’ve got a bigger pool of riders coming through as well so hopefully the aim is to produce them to perform to the same level at the championships. “We have quite a young squad, but they want to go to WEG and compete against the best in the world and take them on. They have a super attitude, it’s all about qualifying for the Olympics and challenging for a medal. In preparation, the emphasis has been on training all three phases equally and ensuring that the riders look after themselves as well as they do their horses. The riders have been doing the short format events alongside the long format and this has been good preparation for the riders,” Corscadden said. Dressage begins in Tryon on September 12th with Kildare’s Judy Reynolds and Vancouver K flying the flag for Ireland. The pair have taken the Dressage world by storm in recent years, with several top Grand Prix wins and an 18th place finish at the 2016 Olympic Games in Rio. Ireland will be represented in the Reining discipline at the Games (Sept 12th – 15th) by Bernard O’Sullivan – originally from Ballyknockan, Co Wicklow and now based in Australia. With little opportunity to compete in WEG qualifying events in Australia, O’Sullivan traveled to Chile and Canada where his results saw him secure a ticket to Tryon. He has secured the exciting horse “This Guns For Nic” to compete at the Games and has expressed his enormous gratitude to Skye Mitz from Byran Texas for making This Guns For Nic available for WEG. I’ve been having a really good season, Stellar Rebound has never run so well, I’m excited. I think he is amazing, he has everything and such a good heart. I’d dearly love to get a medal on him along with the rest of my teammates.